According to the U.S. Fire Administration, it’s estimated that dryer fires are responsible for more than 15,000 structural fires each year, with losses exceeding $100 million. It might surprise you to learn that most dryer fires aren’t caused by electrical issues or problems with the gas connection (if it’s a gas appliance). No, it’s a fact that the majority of dryer fires are caused because excessive lint has built up in the vent and ignited. Lint is flammable, so when it builds up over time, the chances of it catching fire while the dryer is operating are much greater. Cleaning the lint trap isn’t good enough. Many people assume that emptying the lint trap after each load is all the maintenance that needs to be carried out. You should be doing this, but that’s a false assumption. That’s because lint can build up in the vent itself. Perform vent cleaning every 2-3 years. You can either call in a professional cleaner to use a high-powered vacuum to clean your vent or remove the vent from the dryer and take a shop vac to it to remove lint buildup. Inspect and fix. 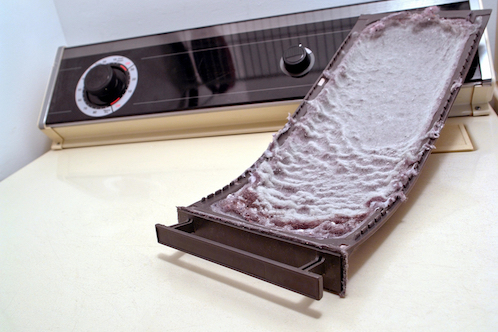 Check your lint trap periodically for any rips or tears, and repair when necessary. Damage to the lint filter can cause more lint to filter into the vent, making cleaning of the vent a more regular chore. Try to avoid running the dryer when nobody is home. This way, if there’s an issue, you’re likely able to get to it and resolve it before it can lead to excessive damage. For this reason, it’s always a good idea to keep a fire extinguisher handy in the laundry room.